Colin James Munn was born in Regina, Saskatchewan, in 1964. He is a neo-swing artist who mixes swing, jump blues, rockabilly, ska and contemporary rock ‘n roll into his performances and recordings. In 1984 he was playing with a Regina. As luck would have it American rocker, Stevie Ray Vaughan, was in town to appear in concert. Vaughan was fresh from the releases of his 1983 album, Texas Flood, and his 1984 album, Couldn’t Stand The Weather. Vaughan had also been given a spotlight as a guitarist playing numbers of songs on David Bowie’s 1983 Let’s Dance album. 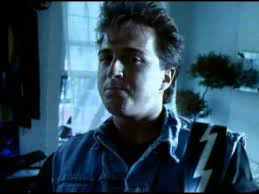 The opening act for Stevie Ray Vaughan was unable to perform, and with just a few hours to prepare, Colin James Munn was asked to be the opener for the Regina concert with members of a local band called Flying Colours. James knocked it out of the ballpark and was asked by Stevie Ray Vaughan to join him for the rest of the tour as the opening act. James played the rest of the tour with his backing band, the Hoodoo Men. But it was Stevie Ray Vaughan who suggested that Munn drop his last name and just go by Colin James. Munn sounded too much like “mud” over the distortion from the loudspeakers at the concert venues. 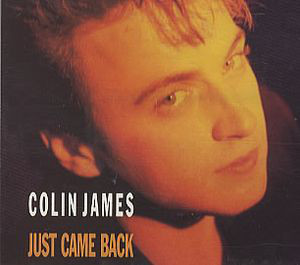 By 1988 James released his own self-titled album, Colin James. The album featured the hit single “Why’d You Lie”, which won him a Juno Award for Most Promising Artist. Another track from Colin James was “Voodoo Thing” which made the Top 30 on the Billboard Hot 100. His second album, Sudden Stop, was released in 1990. It contained the Top Ten single, “Just Came Back”, which won a Juno Award for Single of the Year. “Just Came Back” is a song about a guy who’s found out his girlfriend has been having an affair with one of his friends. He finds in her little black book his friends name on a page with five gold stars beside the name. When he calls to talk to her he finds out she’s left for the night wearing her “jeans on tight.” Clearly, his main squeeze is on the prowl looking for someone else besides him. As a result, he’s got “pains in his heart” and “stones” in his pathway. When they first met the narrator was reminded of Adam and Eve with natural innocence and attraction. But looking back he realizes he was blinded by her beauty and couldn’t see the obstacles he’d face in attempting a relationship. Upset and heartbroken, he goes back to her place to say goodbye in person. When a couple is breaking up it is best to do it in person. If you are going to tell someone it’s “over,” sending that message in a text or an email is the easy way out. Better hold your head up high and be prepared for whatever emotional reaction you are in for. If the other person has no idea there is a better bet they’ll be very sad, bewildered or angry. However, if ~ as in the case of “Just Came Back” ~ the other person is already flirting with others and having affairs, the emotional reaction may be mute by comparison. Finding out the other person’s reaction to your saying “goodbye” is important information. If the other person is really heartbroken they may discover they really don’t want to part. But if the response is impassive or indifferent, that will also provide information to prevent keeping your hopes up after the break up. A second single “Keep On Loving You Baby”, also sold well in Canada. His third single from Sudden Stop featured Bonnie Rait on “Give It Up”. The song peaked in Vancouver at #18 during a ten week chart run in February 1991. That same year Bonnie Rait would have a Top Ten hit called “Something To Talk About”. For the tracks on Sudden Stop, Colin James won the 1991 Juno Award for Male Vocalist of the Year. (A feat he would repeat in 1996 for his blues album, Bad Habits). Since Sudden Stop, Colin James has released four neo-swing albums between 1993 and 2007 by Colin James and the Little Big Band. Of these, James won a 1998 Juno Award for Best Producer for a number of tracks on Colin James and the Little Big Band II. That year he also won a Juno Award for Best Blues Album for National Steel. James backing band has included several members of the Vancouver indie-rock band The Odds. As of 2017, Colin James has released fifteen studio albums and one live album. He has also made a guest appearance in 2005 in the Canadian TV sitcom Corner Gas. Colin James, Colin James bio, Canadian Bands.com. Dirk Johnson, Stevie Ray Vaughan Killed, Blues Guitar Player Was 35, New York Times, August 28, 1990. Colin James, Corner Gas, CBC, 2005.